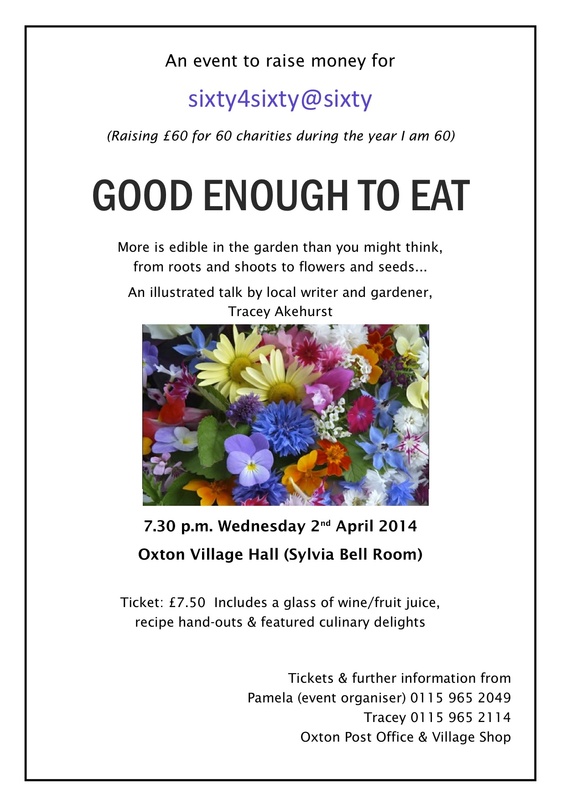 Come along to an illustrated talk in the Village Hall by local writer and gardener, Tracey Akehurst, on things edible in the garden. This is an event to raise money for sixty4sixty@sixty. Click on the poster below for details.